Buy online Summit+ Vaporizer in the Vape store | Vawoo.co.uk! Minimum quantity for "Summit+ Vaporizer" is 1. 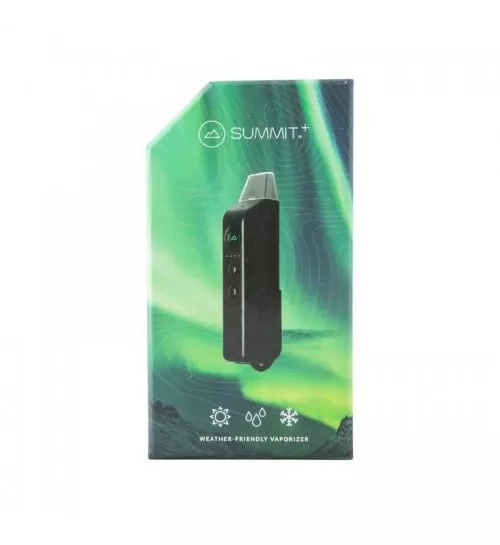 Summit+ Vaporizer is a rugged and very portable device that is as powerful as it sounds. It has plenty of features and it also has a very high quality construction as well. 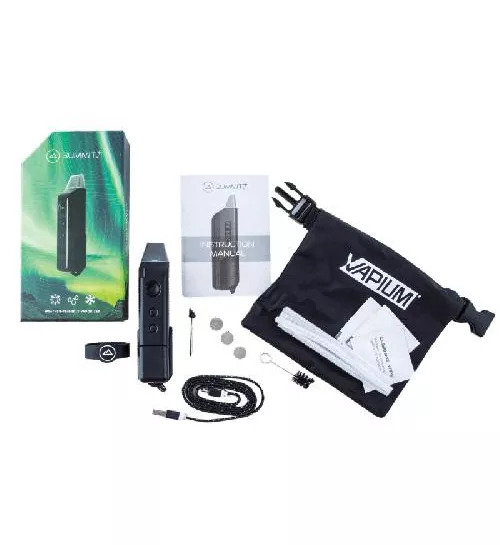 Of course, it is crafted for those who want to vape while they are on the go and it completely redefines any standards that might be present as well. 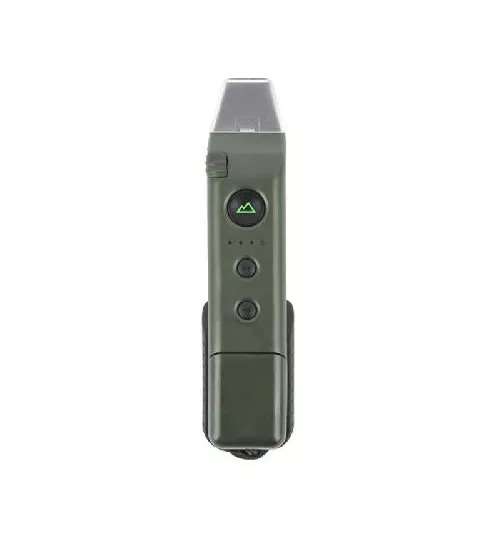 You have a very high level of functionality and style and you can perform any action you want with ease and efficiency. You can charge it up by using the USB stick and you can also take advantage of the built-in stir tool as well. All you have to do is remove it to stir, mix it up and pack it back in again so you know that you won’t have any issues at all there. You also have a continuous air path which has been constructed out of stainless steel and this helps you to make sure that your device is always ready to use and without any added difficulty or problem. 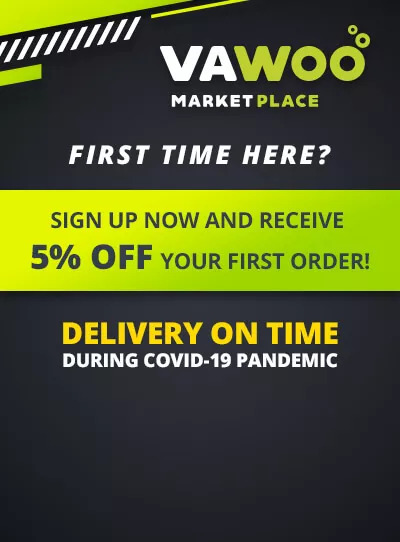 If you want to find out more then all you have to do is get in touch with us today and we’ll do our best to help you. Tethered, magnetic lid – no missing parts! Finely grind blends and load chamber about 3/4 full and lightly tamp material down. Press and hold the Go Button for 3 seconds until it lights blue to turn Summit+ on. You can select your temperature using the "+" or "-" button to cycle between 8 settings (the LEDs will light up blue (low), yellow (low-medium), orange (medium-high) and red (high), with a high and low temp for each color). The LED will turn green once selected temperature has been reached. For best results allow vapor to form in the chamber to produce bigger clouds. To preserve battery, Summit+ will automatically shutoff after 90 seconds - simply press the Go Button once to re-engage the heater.